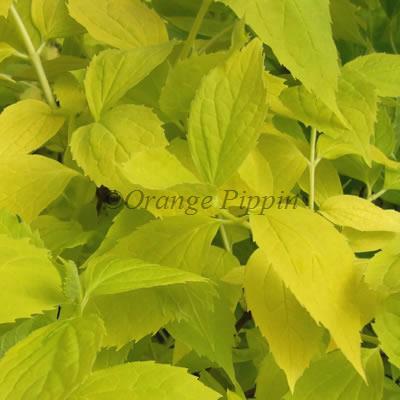 Philadelphus coronarius 'Aureus' is an easy to grow, non-evergreen shrub with bright yellow leaves that become greenish-yellow as they mature. 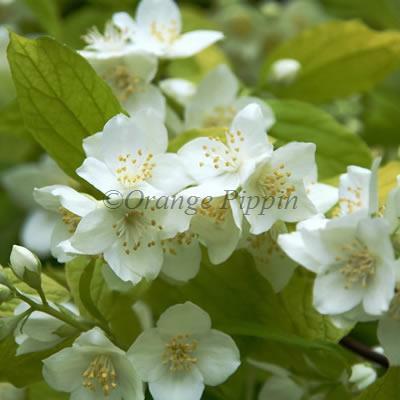 Beautifully scented, creamy white flowers are produced during early summer which smell strongly of orange blossom. A delightful addition to the mixed bed or border.